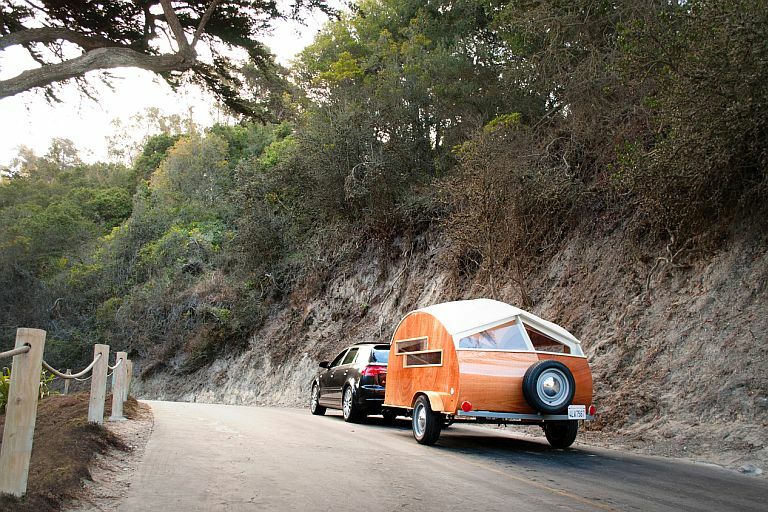 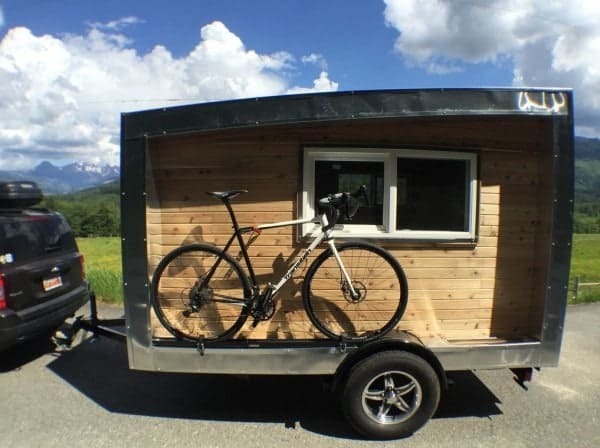 With around 40 square feet of floor space, the 1,400-pound Drifter is a camper that emphasizes small size and portability. 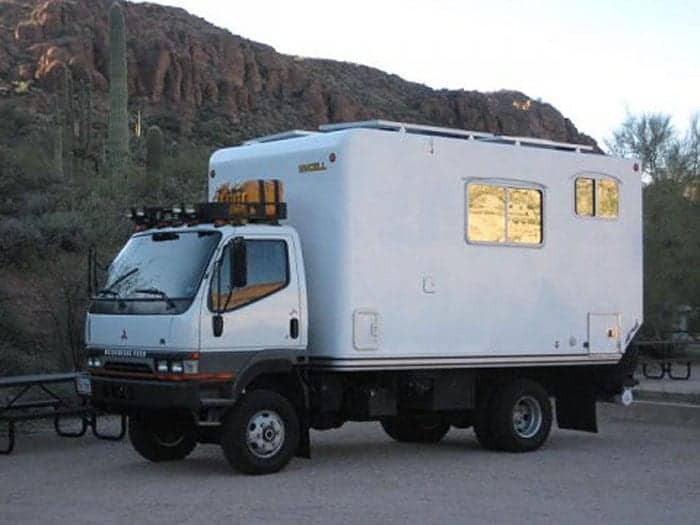 You can take it practically anywhere behind practically any vehicle. 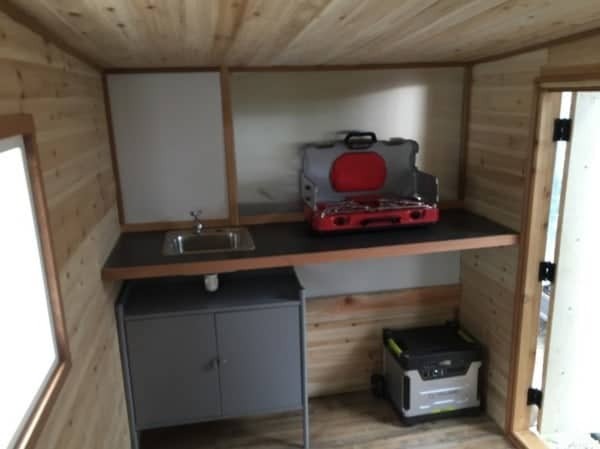 It also has a lot of exterior storage space courtesy of customizable racks strategically placed under the marine grade aluminum roof. 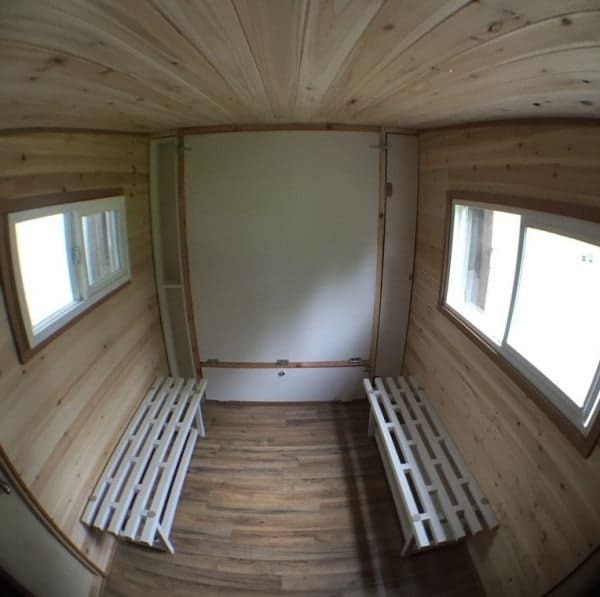 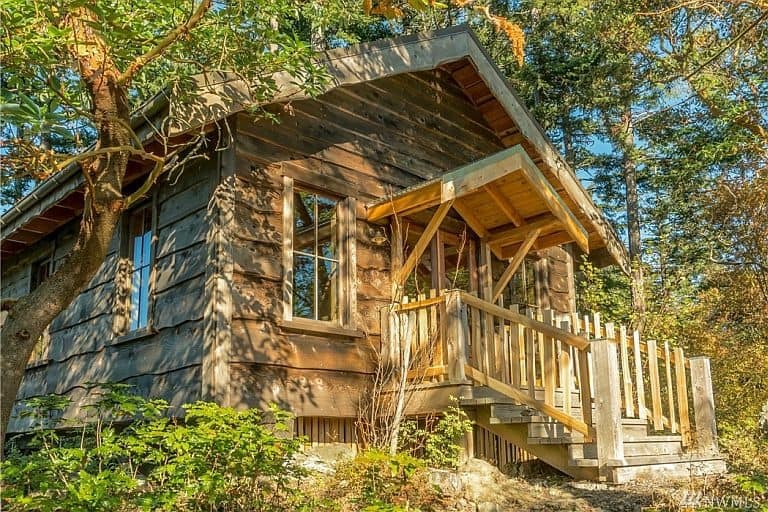 There’s a generous amount of insulation under the weatherproof cedar siding and the windows on each side are both double-paned and equipped with screens, so you can keep the warmth in or let the breeze flow through according to the season. 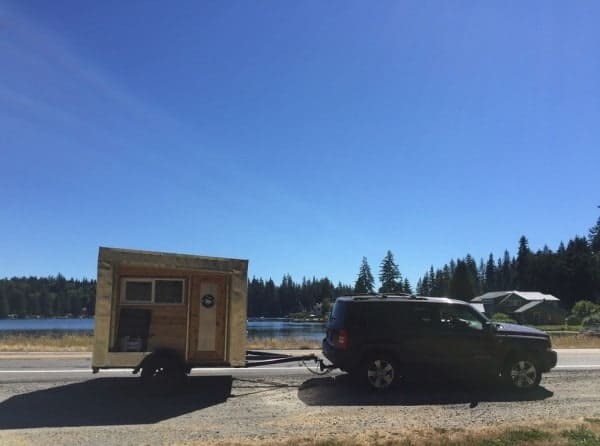 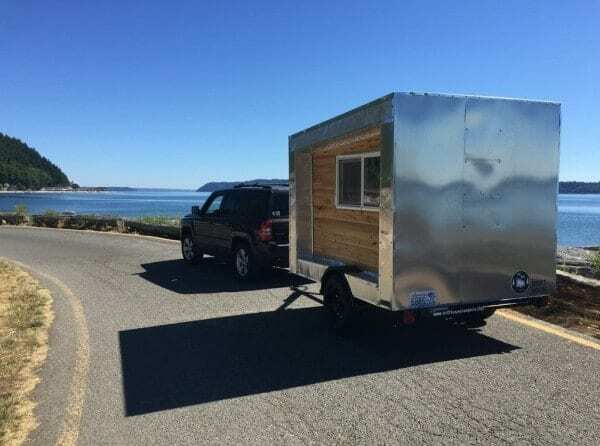 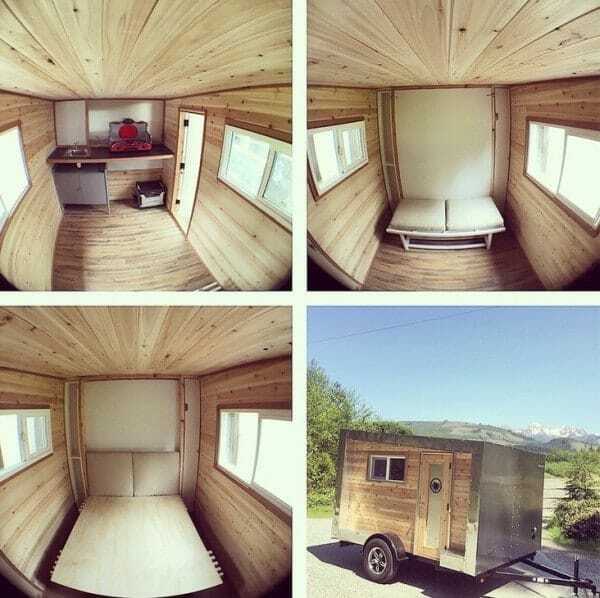 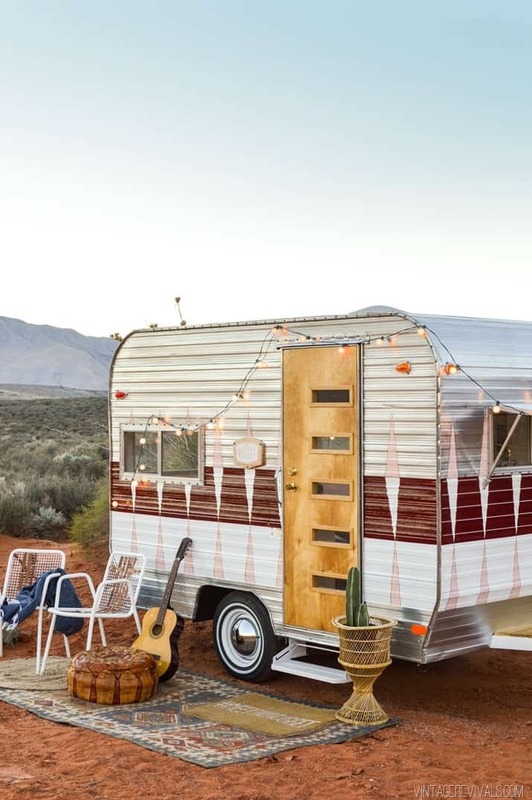 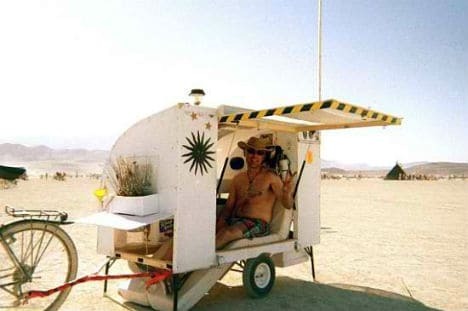 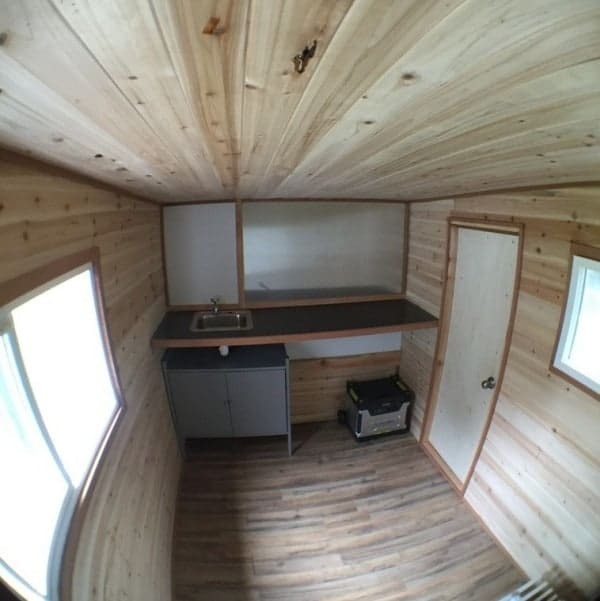 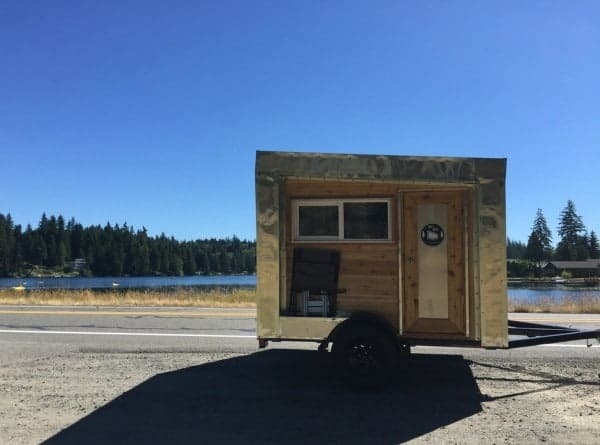 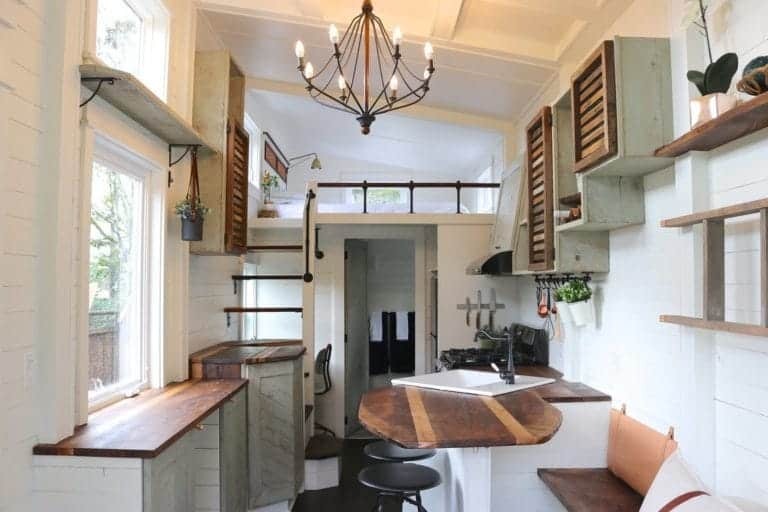 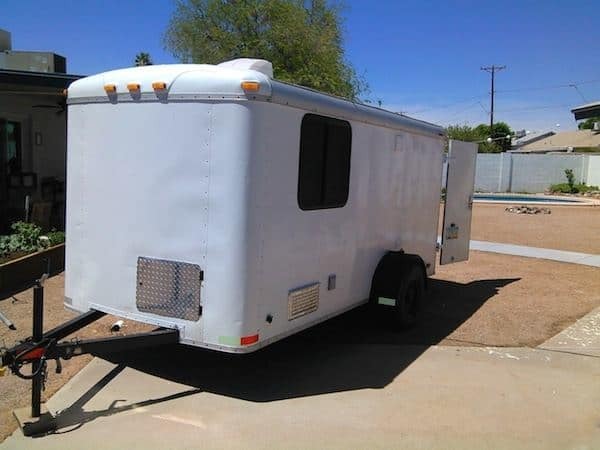 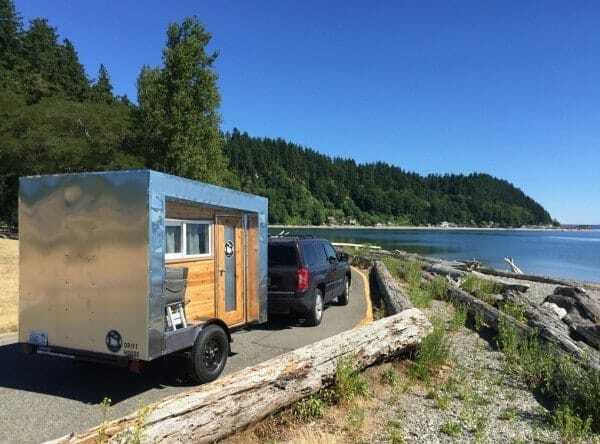 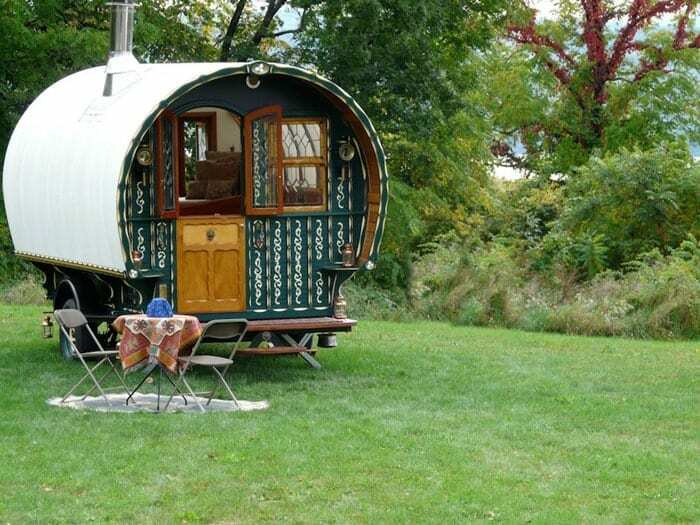 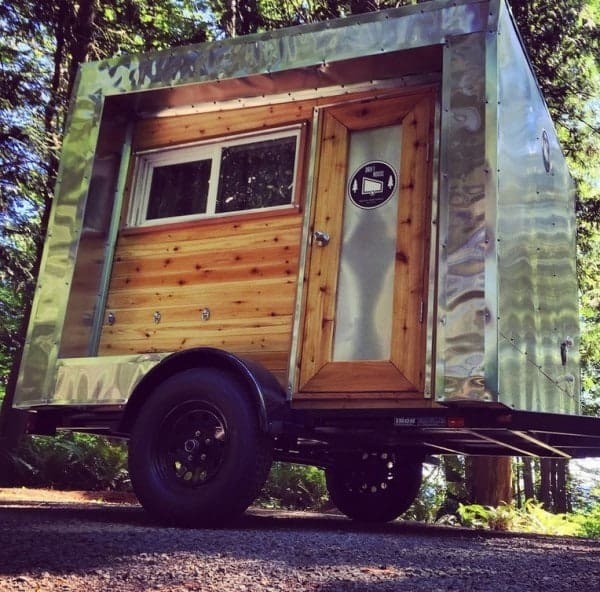 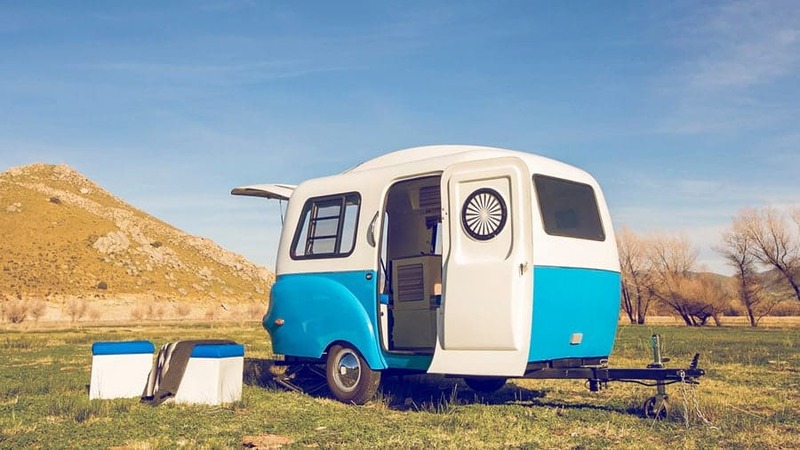 The Drifter includes standard electrical and water connections and there’s a sink inside, making it possible to prepare meals and clean up afterward without having to go outside. 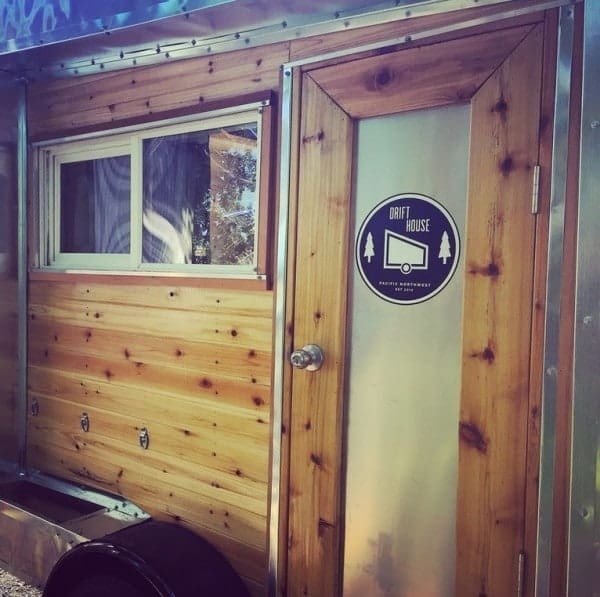 (No toilet, though, so you will have to leave when nature calls.) 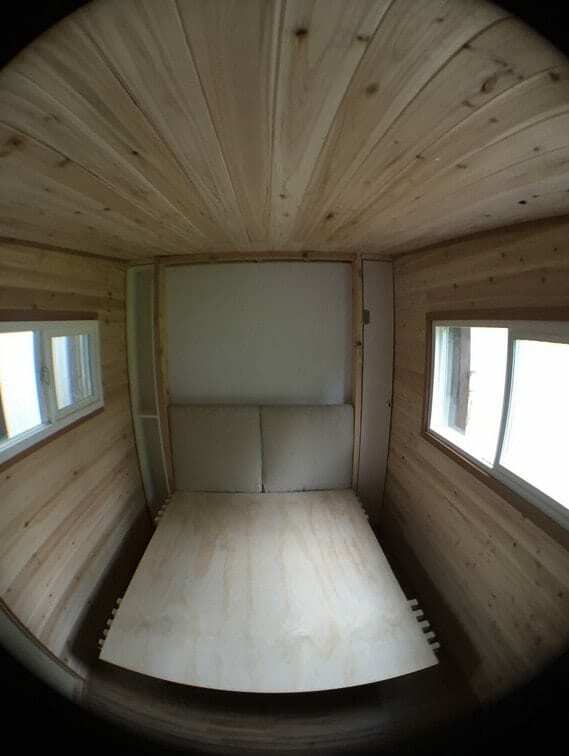 When you’re ready to sleep you just fold up the benches and fold down the bed. 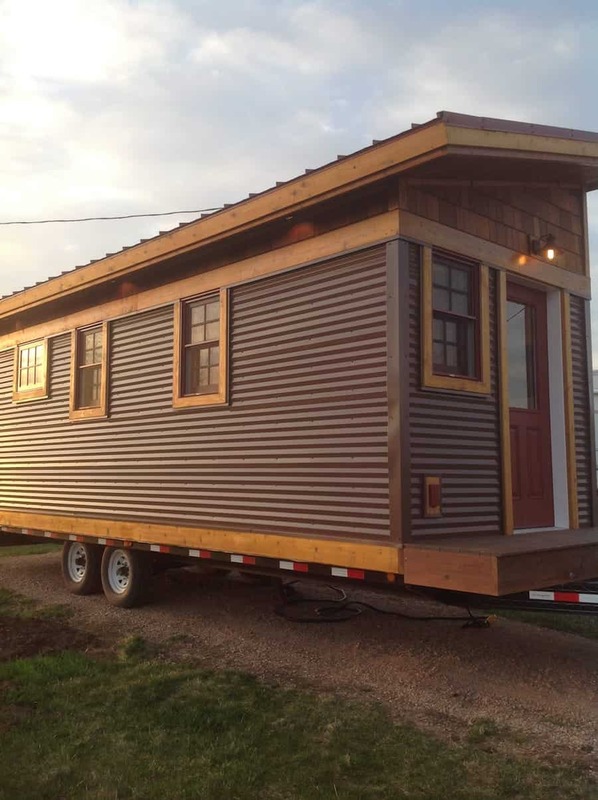 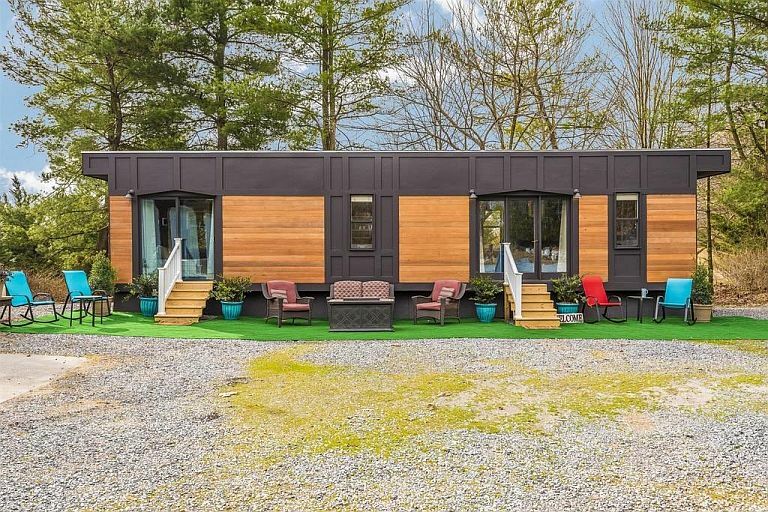 Drift House Campers has this 2015 design priced from $6,250 and offers extras like solar and hot water at additional cost.